Yet the jewelry’s true interest lies not in their materials or monetary value but in the roles they played during her political service: Albright used her pins as silent yet visually outspoken codes to foreign officials and the press. Pins could be adopted for various reasons—a shining sun or a patriotic flag would reinforce a positive alliance with the United States, for example, while more difficult negotiations might bring out wasps or snakes. Read My Pins presents a remarkable range of pins and brooches from the personal collection of Madeleine Albright. 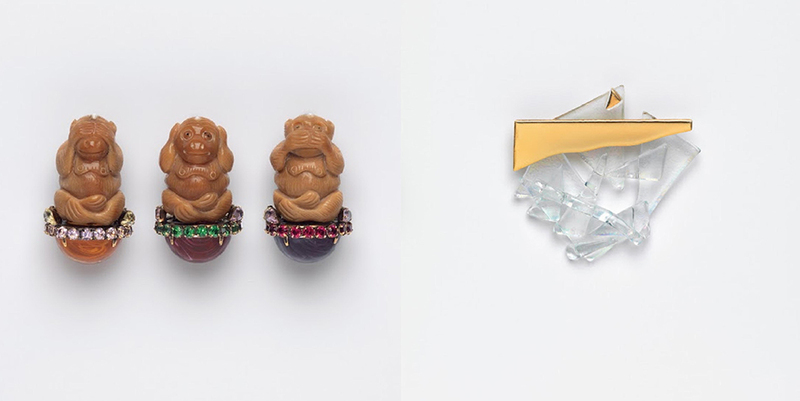 The majority of these pieces were collected and worn during Albright’s service as US Ambassador to the United Nations (1993–1997) and as the first female Secretary of State (1997–2001), under President Bill Clinton. The assortment is eclectic, international, and representative of nearly a century of jewelry design. LEFT: Serpent, circa 1860. Designer unknown. Photography: John Bigelow TaylorSecretary Albright wore this serpent pin to meet with Iraqi officials in October 1994. 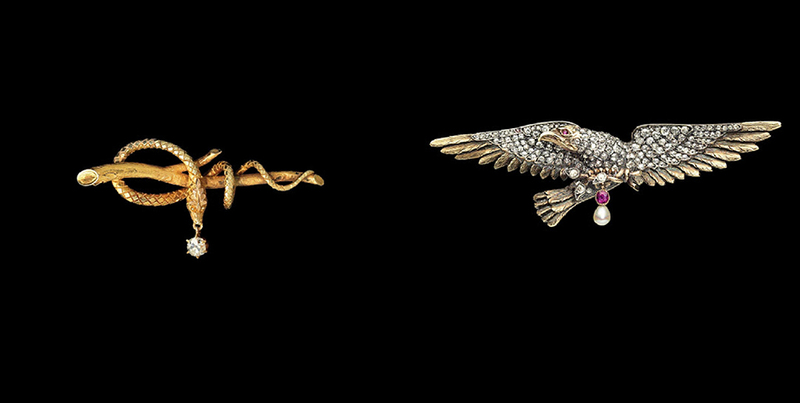 It was her way of sending a message after being referred to as an “unparalleled serpent” in the Iraqi press.RIGHT: Secretary of State Diamond Eagle, circa 1890. Designer: Unknown. Photography: John Bigelow TaylorWorn by Secretary Albright in 1997 during her oath of office as the first female Secretary of State of the United States of America. LEFT: Blue Bird, circa 1880. Designer: Anton Lachmann. Photography: John Bigelow Taylor In 1996, airplanes carrying four Cuban-American fliers were shot down off the coast of Florida. At a press conference, Secretary Albright wore the blue bird pin with its head pointing down in mourning of the victims. RIGHT: Liberty, circa 1997. Designer: Gijs Bakker. Photography: John Bigelow TaylorJewelers from around the world were invited to create pins that would send messages of their own. The clocks are arranged so that Secretary Albright and who ever she is speaking with can read the clock simultaneously. LEFT: Panther, circa 2003. Designer: Katel Riou, Cartier. Photography: John Bigelow TaylorIn her tenure, Secretary Albright supported a diplomatic initiative, the Kimberley Process, to ensure much-coveted stones are traded legitimately. RIGHT: 9/11 Flag, circa 2001. Designer: David Yurman. 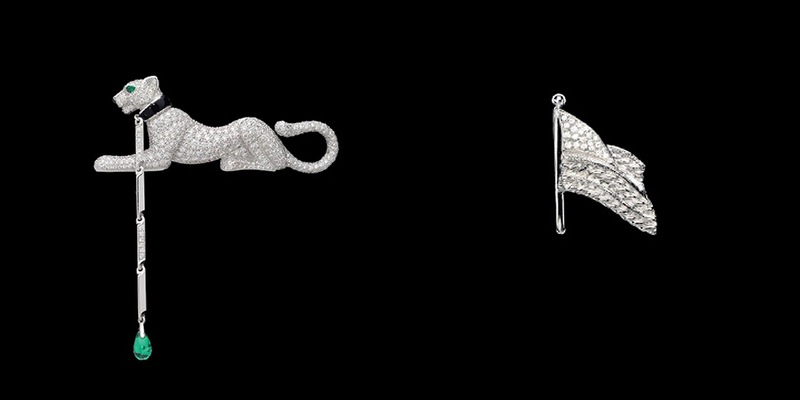 Photography: John Bigelow TaylorDavid Yurman created this American flag pin in support of families affected by 9/11. LEFT: Hear No Evil, Speak No Evil, See No Evil, 2000. Designer: Iradj Moini. Photography: John Bigelow TaylorSecretary Albright wore the monkey pins on a visit to Moscow for a meeting with Russian President Vladimir Putin. In her memoir, Albright says “he saw no evil” and denied human rights violations were being committed. RIGHT: Breaking the Glass Ceiling, 1992. Designer: Vivian Shimoyama. Photography: John Bigelow TaylorSecretary Albright’s pin reflects the glass ceiling in her ideal condition: shattered. This pin was most recently seen at the 2016 Democratic National Convention in Philadelphia. 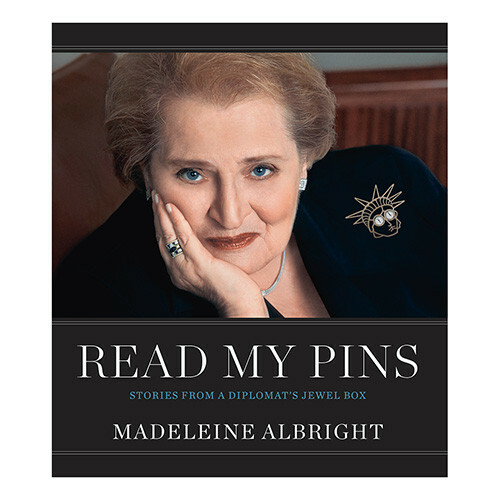 From New York Times: Bestselling author and former secretary of state Madeleine Albright, Read My Pins is a story and celebration of how one woman’s jewelry collection was used to make diplomatic history. Exploring the use of the pin or brooch as a means of personal and diplomatic expression and featuring a gallery of fascinating photographs, this unique, intimate, and revealing biography offers a whole new side of Secretary Albright, one of our most beloved public servants. has been organized by the Museum of Arts and Design, New York.